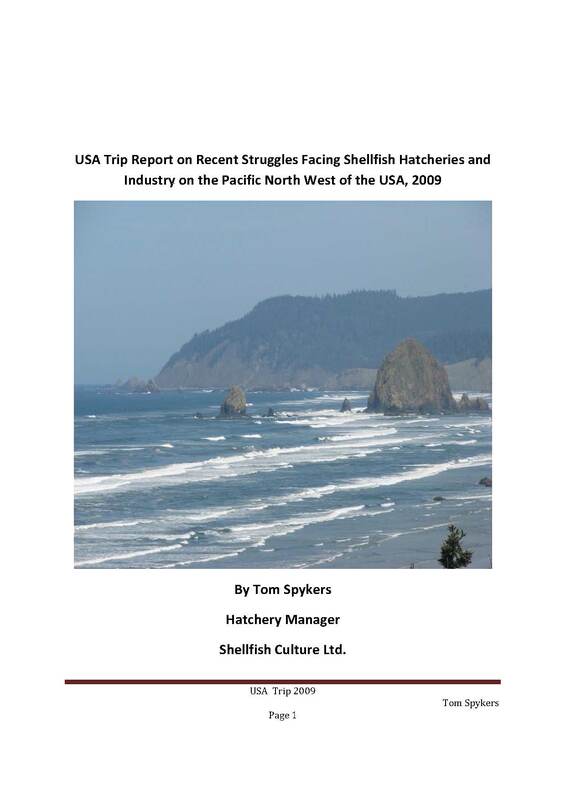 This study tour was undertaken to attend the WERA and 101st Shellfisheries Association Conferences held in Savannah, Georgia, USA, from 21st – 26th March 2009 and to visit shellfish hatcheries throughout Washington State and Oregon. was comprised of three and half days of industry and research presentations with a wide range of subject areas including shellfish, crustaceans, genetics, diseases, environmental impacts and restoration. The main purpose of my attendance and the visits to the NW hatcheries was to investigate the impact of Vibrio pathogens on hatchery production and recent advances in technology and management procedures to combat its affects.